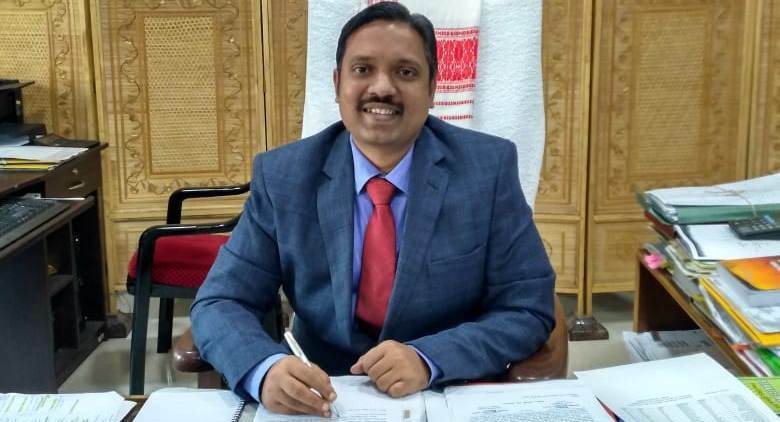 Subramoney Iyer Lakshmanan, a 2011 batch IAS officer, took over the charge of deputy commissioner ofSivasagardistrict on Sunday. After joining his new place of posting, the deputy commissioner convened a meeting with the senior officials of the district administration and discussed over various matters and issues like status of implementation of various schemes and projects in the district, NRC, AADHAR, ongoing election process of Sonowal Kachari and Missing Autonomous Council, preparation for ensuing Republic Day celebration etc. Lakshmanan also inspected various branches and sections of the DC office and took stock of their functions and activities from the concerned officers and staff. The deputy commissioner has convened an introductory meeting with the mediapersons which will be held at 3 pm on January 22 at the Sukafa conference hall of the DC’s office. A medical graduate, Lakshmanan previously served as the sub-divisional officer (Civil) of Sadiya, additional deputy commissioner (ADC) of Tinsukia, deputy secretary of Guwahati Development department (GDD), joint secretary of Health and Family welfare department, deputy commissioner of Hojai and deputy commissioner of Cachar.